1. How to change top navigation menu background color in Lodestar theme? 2. How to change menu hover background color and drop down menu hover background color in Lodestar theme? 3. How to change drop down menu black background color in Lodestar theme? 4. How to change the “Call For Estimate” font color, size and font family to make it stand out? 7. If you don’t want to show big header image in single post page in Lodestar theme? 8.How to change footer light grey social icons background color ? 10. I don’t want to show post date and author in single post page? 11. How to change the font color, font size and font family of contents of single post? 16. How to change Continuous Reading font family, font size and color in blog page? 17. How to reduce gap between blog posts in Lodestar theme? 18. How to make Single post page to be full width in Lodestar theme? Add a Featured Image to the page. The image should be at least 2000 pixels in wide and 1200pixels tall. Navigate to Appearance > Customize > Theme Options. Then from the drop-down, select the page you’d like to appear in the panel. As for point 19, I do not want to remove the footer, but I would like to replace the PROUDLY POWERED BY WORDPRESS | THEME: LODESTAR BY AUTOMATTIC with my own line. How can I do this while keeping everything else the same? 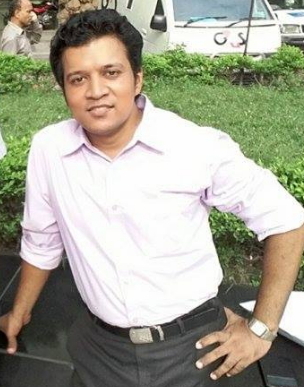 would u mind to share me the site you are working on please? I ended up using a plugin called ‘real-time find and replace’ to do the job. Hi, I have changed the background color on all pages to a medium blue, and the body text to white following your examples above. However, the “static home page” defaults to a grey text that is larger (and not white!). How do I access that to make changes to its appearance using CSS code? would u mind to tell in which site you are working on? Hello ! Could you help me about reducing the height of the big header image ? are you talking about the homepage header image? would u mind to try this code please? please let me know if it works for you? So, instead of 255px, I can put any other value ? Well, I’ve tried to modify some codes…. and it seems to work perfectly !!! Hi, If I don’t want to show big header image in the page contact us in Lodestar theme, can you help me? thanks! in which site u r working on actually? http://letsfixitinpost.com/ , now I had fixit the problem with the top bar, thanks! Hello, i want to remove the big header on another page. but i cant. tried to put on custom css. and still cant. and what does #7 mean? how to use it? thanks! Hi how do I get the image from the post in the blog on the frontpage? would u mind to share me your site url please? would you mind to clarify me the issue some more please? In the frontpage i have the blog in one of the panels. In the frontpage there is no image with the, but under the blog in the menu there are image in the post. Thank you for your guidance that allows newbies like me to enjoy using WP. To change only the Site Title font, which is your tip to use? I tried using No. 6 but there was no affect to the Site Title font. have u used simple custom css plugins to use my codes? How di I add my logo right above the large lodestar text on front page. Also, I would like part of the “lode” to be a different color than the “star” text. How do I do this? This is for the homepage. Thank! Hello, PLease, could yo help me? I want to remove header images in new pages that i made. Is possible? oh and i would also like to suppress the parallax scroll in all images – header and panel! would u mind to tell which code you used to make the header smaller? would you mind to share the code here which you used to fix? I tried but its not small enough for the intro text (the one above panel one – just for clarification 🙂 )to show and that is essential. Reducing the height to say 300px does not change the layout at all.. Im out of options. Oh and I dont want to reduce the padding of the intro text to achieve the look if possible. Do you have any idea? but thats just to regulate the overlay… This doesnt help you, does it? Hi ! I had to modify one item (link) in the main navigation, and a new problem appeared : now the last item (link) goes underneath the others. So the navigation is now displayed on 2 lines, and not 1 line as before… Even if I delete every links in le menu, and re-add them, there is still the same problem, as if the width of the main navigation had been reduced…). Could you know how to solve it ?? You are the best ! 🙂 Thanks a lot ! Hi, how do we keep the header image but remove the grey screen over the header images? have u solved the issue already? No I still have a grey screen. in th grey scree the menu is situated? u want to remove them? The grey screen dulls the header and banners on each page. Stops them from “popping” out. I only want to remove the grey screen or overlay – not any of the parts. Yes it worked! Thanks so much. It is refreshing to actually be able to see your images clearly!! Do you know why the homepage banner is bigger than the other banners? I’d like them all to be the same size as the secondary pages. I did get this to work. Hi, I have transferred my Lodestar site from WP.com to WP.org. I downloaded and uploaded your wonderful theme to my new site location, but I find the Site Identity Customiser no longer allows me to upload a logo. In my wordpress.com site (https://pixelperfectdesign51614475.wordpress.com) I used a logo instead of a site title, because I like the fancy font (which I can’t find on any of the major font sites like google fonts, fontsquirrel, fonts.com or Typekit). I would like to do the same in my WP.org site (www.pixelperfectdesign.org) but I’m struggling. Am I missing something? Many thanks for your kind help in advance! i found both of your wordpress.com and wordpress.org site looking same? no logo is showing there? Hi, thanks so much for your prompt reply. Since I posted yesterday, I have discovered how to upload the font I used on my WP.com site (Mom’s Diner), but I’m afraid the quality is really poor and it doesn’t look so good on my WP.org site. I would prefer to upload a .png logo to retain the quality. Is that possible on the WP.org version of the theme? ok, in your wrodpress.org site you can modify the theme file…right? Hi! Thanks for the tips on changing the navigation color. I am having an issue where I have a submenu and when I hover over items in the submenu, the main menu item is still the original black/gray from the theme. I’m unable to locate where/how to change this by inspecting the CSS in my browser and was wondering if anyone has any ideas? The issue is at color-sure.com for the “About Us” menu item and submenu. Thanks! Thanks so much, Om! That did the trick. I do have one more question about the navigation on mobile. When I view the menu on a mobile device, the background is still black from the original theme, aside from the submenu. Do you know how I can change that as well? would u mind to try this please? Thanks! With “background:none” the background on the submenu changed to transparent on desktop (although this was fine for mobile), so I changed it to the same color as the submenu and that worked. Thank you so much again for your help! Hi, is there a way to link the header image to another page? IE Link the header image on my homepage (https://abovethefoldcanada.ca/) to this page (https://abovethefoldcanada.ca/free-online-assessment/)? you mean, to link the “We can help you grow” image to link to your online assessment page? Yes exactly. hyperlink the image to another page. Thanks for these awesome tips! Here’s a question for you: is there code for moving the logo to upper left, or at least top of page? I don’t want it over the header image. Thanks! OK, thanks, I ended up just reducing the size of the logo, which works OK for now. How would i center the menu items after deleting the text in the upper right? is http://popcharacter.com/ your site where you want to make the top menu centered? Yes it is. I removed maintenance mode, so please take a look! How do I change the font over the header-image? love the template! i’m adding the text into the custom CSS field in the customizer and not getting any result. i’m trying to make the theme full with no side bars. probably help if i leave the site address. so, it is not related to pages. Hey! still having the issue. i need the theme to only have the head on the main front page if thats possible. otherwise this theme is working great! No, i would like this for the FULL theme. i don’t use sidebars. you want to put a button to the top right section? in the black area? How to increase the header title and tagline wording? Where the default “Lodestar” and description under. Is there a customizable code? Can we add a text overlay to the feature image? For example, each page has it’s own feature image. I’d like the text overlay on the about page to be about us, and the text overlay on the contact page to be contact us. i found you have already added some box where overlay showing? Hi, in the header it is just the Site Title. I would like different text over lays in the header image. Can the over lay text be changed page to page? yes it can be done..but for this the theme file need to be modified (not only css issue)… would you mind to communicate me in my personal help profile please? Thanks. I wonder if it is easier then to hide the header and I will put a full width slider in place. How do I hide the header? Since each page needs a different image, different overlay text, etc I will have to play to determine what, if anything can work with the theme. Can the current header and text be hidden or am I better to switch themes? Thanks, actually its on you, i think you can either use this theme or can change any other theme. Thank you very much for all the tips!! I just have a question: how can we change the background color of current menu item? would you mind to share me your site url where you are working please? Lodestar Homepage displays smaller font size than other pages. It is a bit annoying since the menu falls on two lines on all my pages except the homepage !! I’d like to have the same font size as the homepage for my other pages. Thanks, but does not do the job ! But it seems to be a Firefox issue. Works well also on Edge …. you mean, the content font size and color code i provided didnt work? I cleared the Firefox cache and restart Firefox, but the problem is still there. Are my menu bar is on one line with your Firefox ? I put your code in style.css file via the WordPress Editor in Appearance ?! Is that OK.
And what is the color from your code ? In your code, is the p necessary ? Sorry, your code works well, but it change the “content” size and colour and not the menu items size. By the way, I tried Firefox on another computer and it works well. All pages display the menu on one line !!! Mystery. Thanks, I’ll reinstall Firefox. As I said, all work fine on other computer and with other browser. I read your point “18. How to make Single post page to be full width in Lodestar theme?”. Is it possible to do the same but for specific pages ? Let’s say I would like some pages to be full width. For example, the page id = 758. You are unbeatable. The CSS code works very well. On the internet I found all kinds of solutions but none with only CSS code. All solutions were far more complex. I will not forget you offer services for more complex jobs. 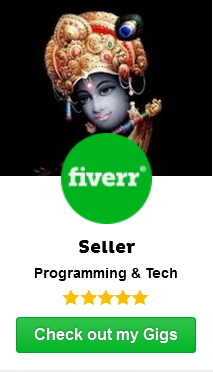 By the way, how a Gig works on Fiverr ? What we have for one Gig ? Could you please give us CSS to change Active Menu Colour. is that for your music for london site? and you want to change Active menu background or font color? Thank you Om, that worked perfectly. How can we remove “posted on… by”.for selected posts ? How can we add more than one author on a blog post ? I’d like to be able to display more than one author for each post but as it is mention from the WordPress.com documentation, it seems to theme specific !! If that necessitate a Gig just let me know. Is it possible to “freeze” the top menu in Lodestar ? would you mind to tell in which site you are working on please? Actually, the bar is gone on the pages but still appears on the home page. are you talking about the bar which is showing as background behind the logo image? Nevermind. Looks like it was able to figure it out. I think this is the last one. I inserted a transparent image that has a link and the theme added a horrible thick border around it. It goes away if I remove the hyperlink but I need to keep the link there. No other codes have worked yet. Can you help, please? Worked like a charm. Thanks, Om! I am using Lodestar template and I would like to have a Private Policy page with no featured image, what should I do to have a simple page? have you already created Private Policy page? I used trick number 7 which works nicely. Now, how can I do the same with the main blog page (not only for single post) ? And how can I do the same for a page ? would you mind to try this please? Is there a way not to changed the sub-menus but only a specific menu item? Is it somehow possible to create a page that then shows me a blog-like-view of all the articles i wrote? I can only see them like in the “Archive” but i am unable to create a site with a blog-like structure. have you checked by creating blog page? When creating a site there is no such Template, only “Portfolio”, “Standard” and “Reccomendation”…. Nevermind. I think i got it…. first of all thank you very much for your free theme! I appreciate it. 1. The menu items are not anchored with the panels, how can I link correctly them and use the parallax function? 2. Is the menu built automatically or should I specify its items and their order? 3. How can I display a menu item selected and synchronize it with anchors? At the moment they are strangely all selected. How can I customize and show the social icons that you have implemented? Thank you in advance for your help and have a nice day! actually i shared css customization of this theme…..but the theme is not developed by me..
than you very much. The plugin mentioned in your post (Page Scroll to id) worked! It was very easy to set-up. Please ignore my second issue, I don’t need to fix it anymore. Im trying to get ride of the header on all pages but the front page but when i enter your suggested code into the custom CSS area in wordpress nothing happens. How do I change the light gray color that is there for all widgit links, dates in posts..? sorry i was away and could not reply..
would you mind to share me the site url to check your issue? would you mind to share me the site URL to check? Thanks! It helped! Is there any way I can center the widget or align right? It worked! Thanks so much! You’re amazing! Hey there! The category of my posts is appearing on the page and I would like to remove it. http://www.ehairexperts.com/category/natural-hair-care/ thanks! Hello… great job on the theme. I am trying very hard to increase the font on the below url page for the forum area. I have tried several different things here and elsewhere to no luck. Can you give me step by step (novice here) as to how to get the bbpress forums a bigger font and the font color a bit darker. It is too hard for people to read. ** To use these piece of code, go to your Dashboard then Appearance > Customize > Additional CSS and paste the codes there…or use Simple Custom CSS plugins. Is it possible to Justify text in a paragraph using CSS? I have tried the following code with no success. thanks, i found you already have justified your text? Yes thank you, but now I have it across the site, is there a way I can left align some pages? you mean..you want to implement the css only for selected pages? and not for all pages? Awesome info provided here…thank you so much. I’m using this theme for DeloresGarciaCoaching.com. How would I have that homepage image NOT become hidden by part of the top menu? I see it scrolling…is there a way to have that TOP menu not interfere with the image underneath it? just checked your site and seems the image is looking ok? 3) page and post headers to white. are you talking about the menu container background color to be white? Thank you! Firstly, Do I enter these into the Additional CSS box ? Re: issue 3, all header text on pages and posts to change to white. Another problem… how do I rename page & post web addresses (so it will happen by default) . At the moment for example I have https://coolahnsw.com.au/?page_id=107, but I would prefer if it was called https://coolahnsw.com.au/eat-shop-stay ? sorry for the late response, got busy with some family issue. I found you have already done the changes..right? HI Om, I still need help with issue 3 – changing all header text on pages and posts to change to white. and issue 4 – Is there a way to change the font style of text and headers throughout the site to something else? Eg. Open Sans ? Thank you, you are incredibly helpful!!! Issue 4 – didn't work though. I would like to change the font style in text and headers to something else less blocky – perhaps Open Sans font? Which is: changing the URL for pages and posts to names rather than numbers eg. https://coolahnsw.com.au/?page_id=107, would be better called https://coolahnsw.com.au/eat-shop-stay . Is there for this to happen automatically and how can I rename the existing pages? Hi Om, Issue 5 resolved, thankyou! Issue 4 remains – changing the overall font. but it didn’t change the fonts? Did I do something wrong or do I have to do it in a different location? would you mind to check one thing please? Hi Om, I don’t have the option for fonts? I can’t find anything to do with Fonts within any of these options. so, there is no options for fonts? have u checked properly under ths Content Options and others? Additional CSS – only has that box with the entries you have given me earlier. which Plan of wordpress.com you are using? Hi Om, I am using wordpress 5.0.3 loaded onto my own site (not wordpress hosted), I downloaded the Lodestar theme last week. Is this what you wanted to know? Hi Om, I entered the code in header.php file as directed. but it still didn’t change the fonts? Im not sure what you mean by play with it in the css selector. I wanted ALL the fonts everywhere (text, headers, footers etc) to change to the roboto? Sorry, I am not very technically minded. That changed it Om, but it looked more like a Times New Roman style font rather than how Roboto is supposed to look ? Would you mind to communicate me here please? I have just entered into Additional CSS and it worked for 1 and 2 🙂 Yay! I notice it hasn’t changed the text colours of the widgets in the menus. I would like them also to be white – the text and headers? (4) Is there a way to change the font style of text and headers throughout the site to something else? Eg. Open Sans ? you do a great job here! I wonder if you are able to help me with changing Site Title font. I have an Easy Google Fonts plugin and can easily change all fonts in a Lodestar theme except the Site Title. I’d like to change it to Exo 2 in #0066b2 color. Could you help me with that please? I don’t want to show it to the whole world yet (I’m not ready for google indexing). May I send that url to you via email? If so, on which address? I have the Lodestar theme on my site http://urban-shaastra.com/. How can I have my Portfolio page have the menu like in the demo site https://lodestardemo.wordpress.com/work/ where the works have been sort by Project Type. i found http://urban-shaastra.com/portfolio/ is showing same as demo? Please look there is a project type menu just under the heading that allows to sort the posts by type. I cannot figure out how to do that. Yes I do have a portfolio type template. Yes I did. It looks the same. You can check the ‘Test’ page is live now. I cannot figure out how to add the project type sorting. You created the page using that page template? I’d like to fix the top menu to the web page. So, in practice, when I scroll down, the top menu has to go up with the page and not be visible until I return to top of the page. i checked your sopromet site and found you already have done it?